The Ireland team will use the fines accumulated during their Rugby World Cup campaign to make a $6000 donation to Christchurch Earthquake Appeal Fund as a mark of respect to those that lost their lives in the February 22nd earthquake. The funds will help rebuild club rugby thoughout Canterbury. “The welcome that we received at every turn during the tournament from the local communities, who really embraced us everywhere we went, was incredible. “The tournament itself, not only from our perspective, was a fantastic showpiece and run with such commitment and enthusiasm by the people of New Zealand, it was a credit to the entire nation. “My only regret was that we were not able to stay in the tournament for longer to give our supporters more to shout about and also allow us to continue to soak up the amazing atmosphere that was continuing to build around the tournament. “Members of the squad had contact with many people who were affected by the Christchurch earthquake and it was heartbreaking to see the pictures of the devastation there. 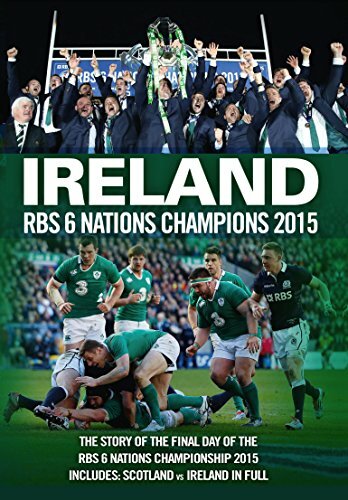 The IRFU has also made a contribution.